​Mason Claim Services is an independent adjuster firm, based out of Boerne, Texas in the beautiful Texas Hill Country. Serving the property and casualty insurance industry for nearly 20 years, Mason Claims has a nationwide team of over 900 vetted, licensed, highly experienced independent adjusters to assist carriers with fast, efficient, and professional claims response. Mason's core values focus on service, loyalty, honesty, and integrity. The company has been in business since 1995 and was purchased by industry veteran Phil Mason in 2002. We offer custom claim solutions tailored to your specific needs…not just some cookie-cutter, one-size-fits-most package. Mason Claims boasts an unmatched level of customer service driven by claims professionals who understand the expectations of our clients as well as insureds who have been impacted by a property loss. It’s why we are consistently ranked as a top independent adjuster firm by our carrier clients. Learn more about the services offered by Mason Claims. Mason’s highly effective, proprietary QA processes ensure a seamless experience for you and your insureds. We know that your time is valuable and limited, so we provide you with a carrier liaison as a single point of contact between you and our adjusters, saving time while also ensuring consistency. We understand that our adjusters are a reflection on you and your company; that’s why we vet each and every adjuster on our roster and also use an advanced metrics system to analyze their performance based on your company’s expectations and standards. Deliver outstanding results – Using our proven processes, our experienced team provides a faster claim cycle resulting in better customer service and less work for you, the carrier. 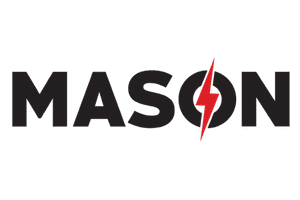 Offer operational excellence – Mason Claims partners with its clients to consistently deliver the specific services they need to operate efficiently. Exhibit people skills – Mason Claims’ adjusters understand that they represent the carrier and will do so in an understanding and professional manner. Value personal integrity – With our detailed review process, reports will be accurate and detailed in accordance with the client’s specifications. Offer decades of insurance industry knowledge – Our adjusters are assigned claims based on their areas of expertise ensuring the proper information is provided in each report. Contact Mason Claims to learn how we can help. Phil Mason has been honing his insurance claims expertise for over 30 years, including multi-line adjusting, multi-line and large loss supervision, and catastrophe management. Before assuming responsibility for Mason Claim Services, Inc., Phil was the director of national catastrophe operations at USAA. He earned his bachelor’s degree from Texas Tech University, where he studied business management and marketing. He holds the Society of Claim Law Associate (SCLA) designation from the American Education Institute and a mold remediation technician designation from Texas Tech. Phil also attended an executive education program at University of Virginia’s Darden Graduate School of Business, and served on the Texas Tech University Board of Directors for indoor air quality extended education. Cody House joined Mason Claim Services, Inc. in 2003. House is the primary point-of-contact for Mason adjusters, as well as Mason’s client carriers for wind, hail, fire, ice, earthquake events, and all major hurricanes since 2003. He is a certified Xactimate trainer and provides on-site and classroom training. His other areas of responsibility include client and industry liaison, regulatory compliance, and financial operations. House holds a Bachelor of Science degree from Tarleton State University and an MBA from the University of Phoenix. Zane Mason joined Mason Claim Services, Inc. in 2003. Zane graduated from Texas State Technical College in Waco, Texas and is currently studying for the chartered property casualty underwriter (CPCU) designation. Zane is responsible for the recruitment and certification of all Mason adjusters and team leaders; he also is the company’s deployment coordinator. Zane is the lead for client communications and customizing claims handling processes. Randy Niemeier earned his bachelor’s from the University of Texas at San Antonio, concentrating in international business; he received his MBA from the University of Phoenix. Randy joined Mason Claim Services in March of 2006 after serving 15 years at AFL Automotive (a division of ALCOA), where he was responsible for manufacturing operations and support throughout North, Central, and South America. His areas of expertise include operational excellence as well as financial planning and management. Forrest Marlin is a graduate of Texas A&M San Antonio, where he received a bachelor’s degree in computer information systems. Prior to joining Mason Claim Services, Forrest partnered in a technology business where he built and configured personal computers. His areas of responsibility at Mason include all in-house and off-site computer support, as well as maintaining Mason’s extensive database. After spending four years disarming bombs for the U.S. Air Force, Doug Boude decided to pursue a safer career, and in 1992, he obtained a degree in electronic engineering. For nearly two decades, he has been heavily focused on internet technology and has completed web-enabled database applications for a wide variety of industries and government sectors. Having acquired his Texas Insurance Adjuster's license, he is now applying his computer programming skills toward creating a complete end-to-end claims management system to help streamline and standardize the industry. Peter Henderson is an award-winning and top-performing sales professional with nearly two decades of experience in business-to-business environments. After graduating from University of Florida in 1999, Peter began a career in business development and sales, working for two Fortune 500 companies, as well as another insurance industry service provider, which he helped grow from 12 states to a national footprint, before joining the team at Mason Claims. Peter draws on his extensive insurance industry knowledge as well as key account management, sales training, and strategic planning methodologies to develop new prospects and interact with existing Mason Claims customers.